PR isn’t for everyone. 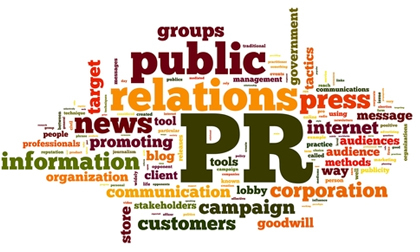 Ranked as one of the most stressful jobs in 2014, public relations is no simple side-job but a rewarding and challenging career path aimed at developing trusting relationships, writing clearly and growing client reputation and impact. We at TimePiece PR & Marketing have a passion for public relations, so if you share that interest with us, here are 8 reasons you should pursue PR. You jump start your morning with coffee – PR pros either have a Starbucks Gold Card or a Keurig at home to make sure they are pumped full of caffeine at the start of the day. You have an extroverted personality – Daily, multiple interactions with people are the norm in PR. Telephone conferences and meetings are a typical occurrence so if you are an extrovert who loves meeting and communicating with people, you would fit well in the PR world. You’re in the know – Keeping up with the news and social media trends from #TheDress to the New York prison break is a necessity for PR pros. The moment news happens, PR people are the first to know. You love to write – At the heart of PR is the passion and ability to write. The most common outlets are news releases, articles and blogs but with everything, writing is at the heart of the public relations field. If typing is your love language and fast fingers are your specialty, welcome to the business. You face deadlines head-on – PR agents take deadlines as a challenge. To keep up good relations with clients and a strong presence in the media, PR pros can’t shy away from hard deadlines or antsy clients, wondering if they’ll make it. If you’re born ready to meet challenges and deadlines, this is the job for you. You thrive on lists – With multiple different tasks assigned to you at once, public relations experts have to construct lists and prioritize to keep things straight. Whether it’s sticky notes or a classic to-do list, notes and lists are the PR way to go. You can’t go a day without Twitter – In this day and age run by technology, social media is the new-and-improved way to reach people. PR pros know social media like the back of their hand and use it constantly. LinkedIn, Twitter and Facebook are sights for sore eyes. You work well with others – PR professionals are inherently team players. If you work and interact well with other people to accomplish a common goal, you would fit right in to any PR office. We at TPRM know what it takes to successfully navigate PR and possess the qualities that make us belong in the public relations world. From the Keurig in our office to our team of cooperative individuals, we are true PR pros capable of tackling any obstacle put in front of us.